A £3.5m grant to unlock and reveal the hidden heritage and landscape of the Westmorland Dales has been given initial approval by the Heritage Lottery Fund (HLF) through its Landscape Partnership (LP) programme. Friends of the Lake District and the Yorkshire Dales National Park Authority (YDNPA) have been given the green light to develop an ambitious joint project. The project has been designed to encourage community organisations, interest groups, public and private sectors to work in partnership to deliver a raft of initiatives aimed at revealing what is hidden in the landscape and used to connect people with what is special and distinctive about the area. The project has three main aims. To unlock and reveal the rich, spectacular, but hidden heritage of the Westmorland Dales. To conserve and enhance the forgotten landscape and heritage of the Westmorland Dales ensuring that the landscape is protected and cherished; in so doing to provide a strong foundation for the “new” National Park. To provide opportunities for those journeying through the Westmorland Dales to linger in the landscape and learn about its rich cultural and natural heritage. The project area will extend over 200 sq km from Maulds Meaburn to Tebay in the West and Ravenstonedale in the south. 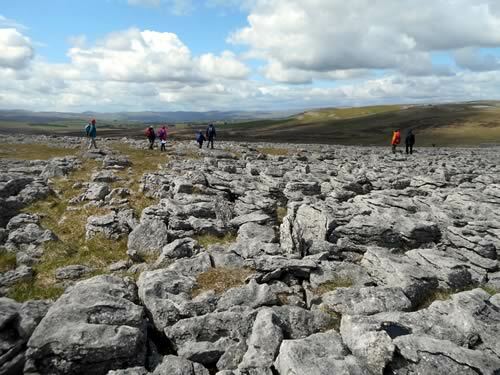 It’s an area that now forms part of the Yorkshire Dales National Park following the extension to park boundaries in August although still lying within the county of Cumbria. It also contains a unique assemblage of cultural heritage including a remarkably intact pattern of historic settlements and associated earthworks. Earthworks in the Orton area range in age from prehistoric stone circles, cairns, and burial mounds to medieval furrow and field systems. “Until recently the Westmorland Dales were the forgotten landscape; a hole in England’s landscape designation. The project will provide training for volunteers and establish a framework for the coordination and promotion of volunteering opportunities in the area beyond the lifetime of the project. Many of the projects within the scheme will provide opportunities for volunteers to develop skills and work to conserve the landscape and its heritage and to promote the special qualities of the area. A development grant of £317,204 has been awarded by HLF to enable Friends of the Lake District and the Yorkshire Dales National Park Authority to develop their plans and seek final approval for the grant amount of £3.2m for implementation at a later date.